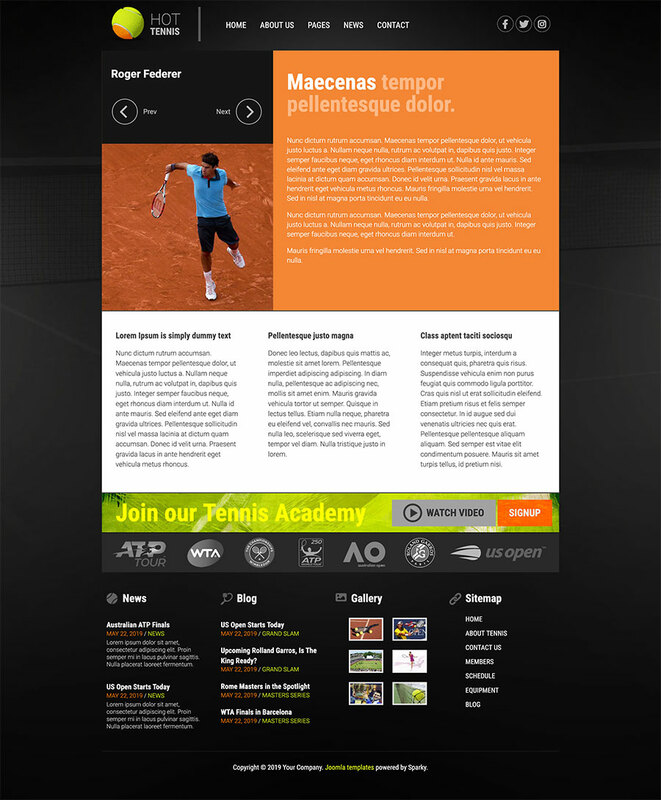 Hot Tennis, as its name indicates, is a tennis template for Joomla! that we dedicate to the white sport. Tennis is one of the world's most popular sports. 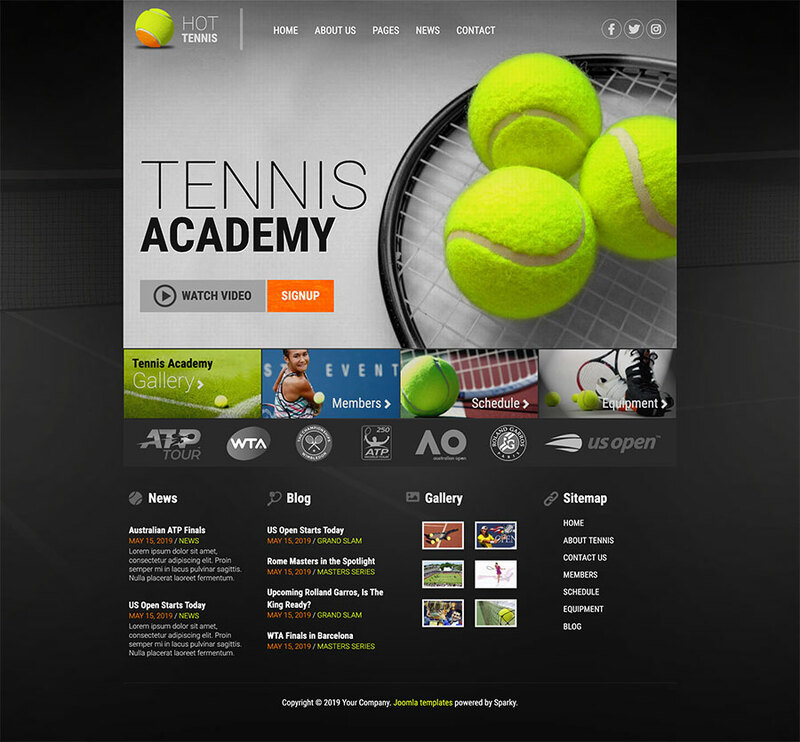 There are many clubs throughout the world where people can train or play tennis. Those clubs usually earn money from renting the tennis courts and equipment and providing coaching services. 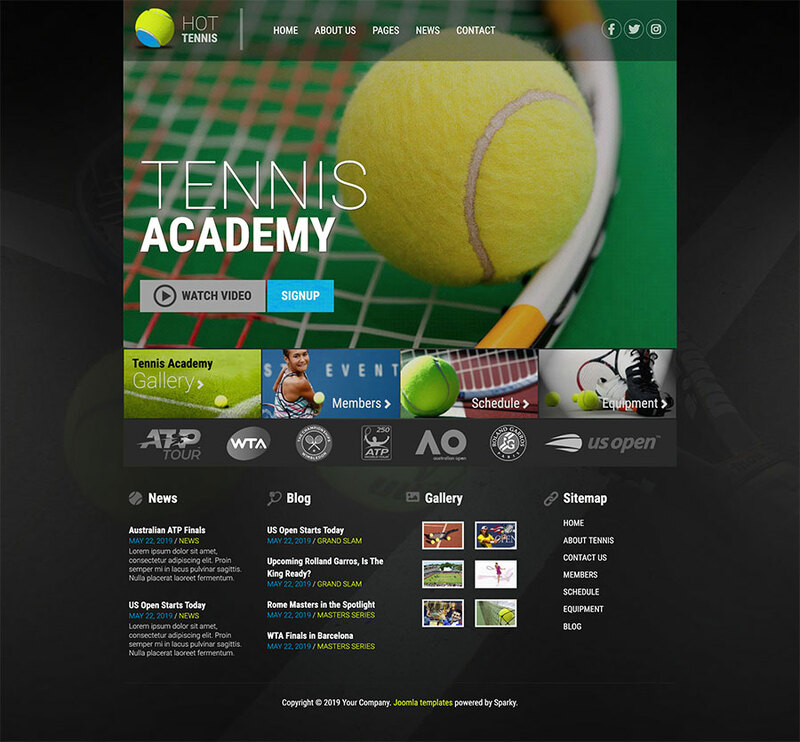 Like every other business, the tennis clubs need websites. 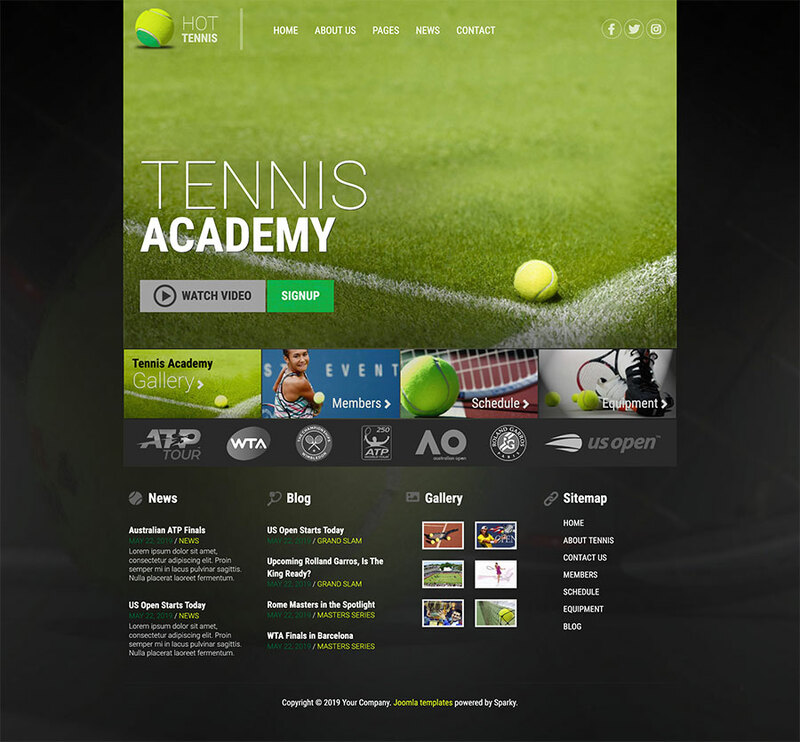 The purpose of the tennis club website is usually to promote the club's services, but also to inform all club members about the availability of the club's courts, equipment, and trainers. The advanced variant of such website can be also used for online reservations (additional components needed). In all cases, the tennis template can be helpful. 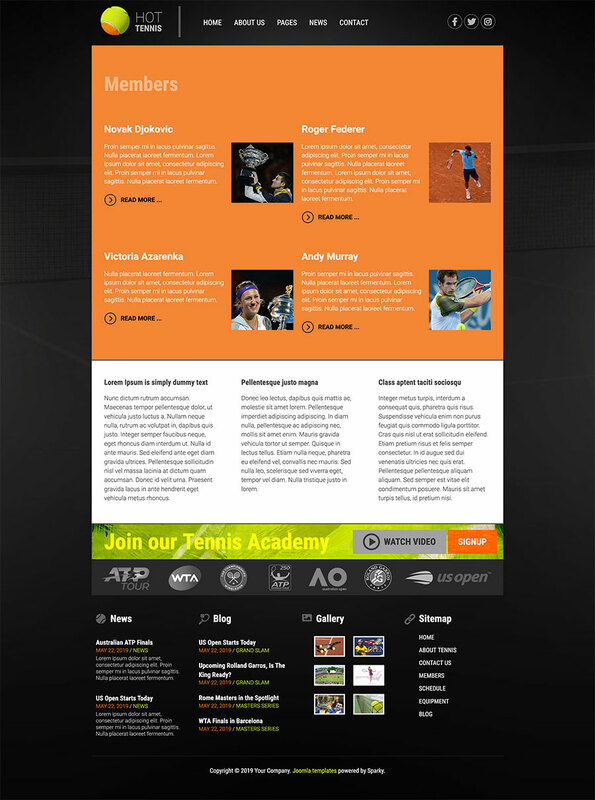 As you can see on the Tennis template's demo, it has slightly different designs for the home page and the inner pages. 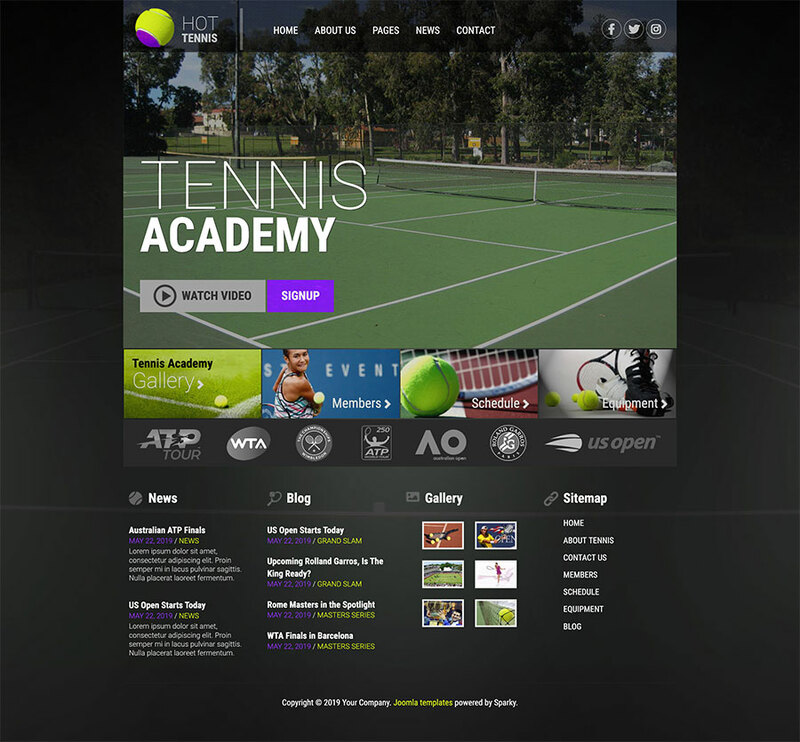 The home page serves as an intro page from where visitors can see the club's promo video (hosted on Youtube and opened in a jQuery pop-up window). This page leads to the other site areas that promote club's services and inform current club members about news and schedules. 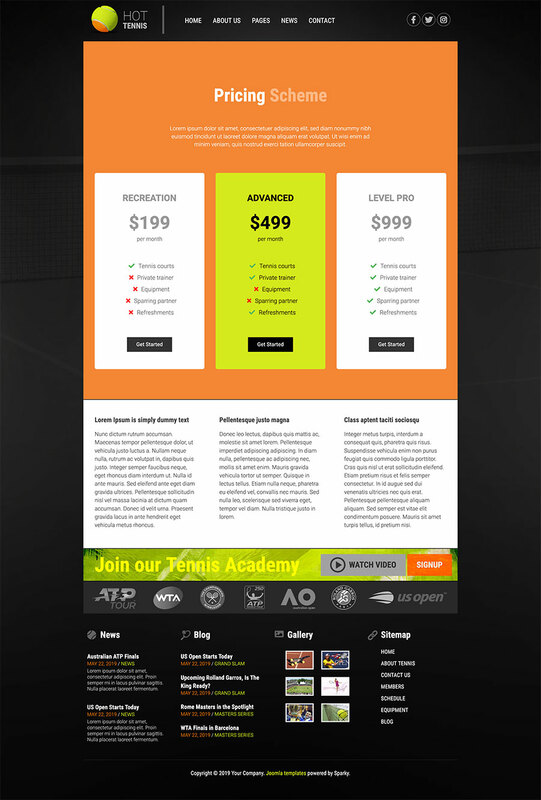 We integrated K2 component to the Tennis template. If you prefer using this component for content management, this template works seamlessly with K2. The club gallery has been made with our Hot Zoomer module. Finally, we developed the Hot Twitter module that can be used to search Twitter for any term (in this demo, the search term is 'tennis'). The results of this search will be displayed on the site. This template is powered by Sparky Framework that gives you the best customizability and flexibility then any other Joomla framework. 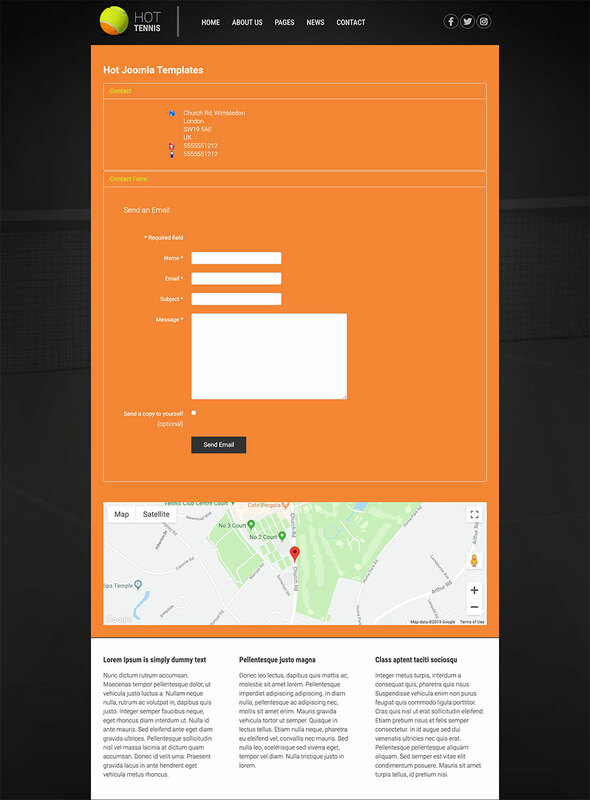 Responsive template, looks good on all devices, including mobiles. 100% tableless XHTML/CSS. Four pre-defined styles with different main color. Each color is easily customizable in parameters. Infinite color combination. Hot Zoomer and Hot Twitter modules included with template, pre-installed and configured. Support for K2 component is included. Commercial modules included in template are free for you, if you buy template. 18 collapsible module positions. You can add more easily within Sparky Framework. PSD source file and fonts available.